I recently returned from a two week trip to Egypt and Jordan with Insight Vacations on their Wonders of Egypt and Jordan Experience tour which was needless to say, a life changing experience. Egypt has always been one of the countries I’ve wanted to visit and when the opportunity came up with Insight Vacations, I made sure to pack my bags and jump on the best flight available. Upon arrival into Cairo International Airport, I was met by an Insight Vacations representative who assisted me with my bags and directed me to the visa processing window where I paid $25.00 to obtain the necessary visa sticker which was attached to my passport. After clearing customs and immigration (with no hassle at all) we walked to the waiting mini-van (along with 2 other guests from Great Britain on the tour) and headed off through the streets of the city to the Cairo Marriott Hotel & Omar Khayyam Casino. This hotel was originally built as a guest palace for the inauguration of the Suez Canal in 1869 and is located in the affluent Zamalek district on Gezira Island on the Nile River. This hotel commanded a great location as it was within walking distance to the Egyptian Museum, Cairo Opera House and the Cairo Tower among other landmarks. Having flow in from Houston via Frankfurt that same day I decided to take in the amenities of the hotel and rest as I had a 4AM wakeup call the next morning to head out to Luxor. On my second day I met up with the rest of the members of our tour. I was surprised to learn that there would only be 6 of us total as I’ve never taken a small group tour before and was not aware that Insight offered smaller groups. After meeting our tour director we picked up the box breakfast made available by the hotel and took off to the airport for our flight to Luxor. Our first stop upon arrival to Luxor was Karnak Temple. It is an immense and impressive complex built during the reign of Senusret I in the Middle Kingdom and dedicated to the god Amun-Re. After learning a bit of its history and taking some great photos we headed into town to board our ship MS Medna which was to be our home for the next few days while we cruised along the Nile. The ship offered great amenities and Wi-Fi which is essential when you want to share all your photos with your family and friends back home. The following day took us to Luxor Temple on the east bank of the Nile River and founded in 1400BCE. This temple was just as impressive as Karnak Temple and one can only wonder what it took to build these massive structures. Day 3 of our tour was a highlight as this was the day we visited the tombs in the Valley of the Kings. We visited 3 tombs that day but the one that stood out the most was that of KV62 or Tut Ankh Amun (also known as King Tut). Just imagine it….. walking down a semi dark corridor to the antechamber before entering the large burial chamber which has scenes of the Opening of the Mouth ceremony as well as spells from the Book of the Dead. As you look around there he was, King Tutankhamen laying behind a thick sheet of glass. As guests with Insight Vacations, the care taker provided us with a dim flashlight so that we could take a closer look at this mummy. This most definitely was a highlight of the trip with many more highlights set to come. In the afternoon we were taken to the Mortuary Temple of Hatshepsut. 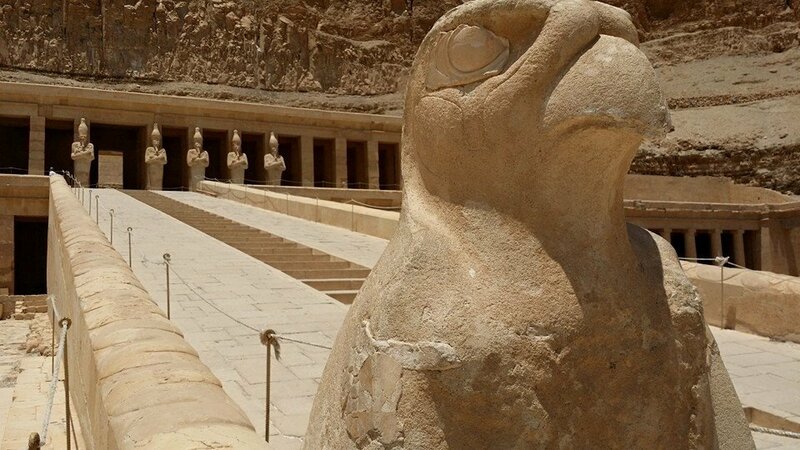 This temple is dedicated to the sun god Amon-Ra and impressive for the many sculptures of Queen Hatshepsut as a pharaoh. After a brief pit stop at the Colossi of Memnon, it was back to our ship for some free time to relax before dinner. Our next stop the following day was in the city of Edfu with a visit to the Temple of Edfu. This was the temple I enjoyed the most as the reliefs on the walls of the main entrance and throughout the temple complex was a sight to behold. The temple is dedicated to the god Horus and you can see his depiction as a falcon wearing the crown of both Upper and Lower Egypt. Later that afternoon we visited the Temple of Kom Ombo which is unique as it was built as a double temple with one side dedicated to Sobek-Re (a crocodile god combined with the sun god Re) and his wife (in the form of Hathor) and son Khonsu-Hor. Sobek is associated with Seth, the enemy of Horus. The opposite side of the temple is dedicated to Haroeris and his consort Ta-Sent-Nefer (another form of Hathor). That evening had dinner by candle light as we set sail to Aswan for a late evening arrival. 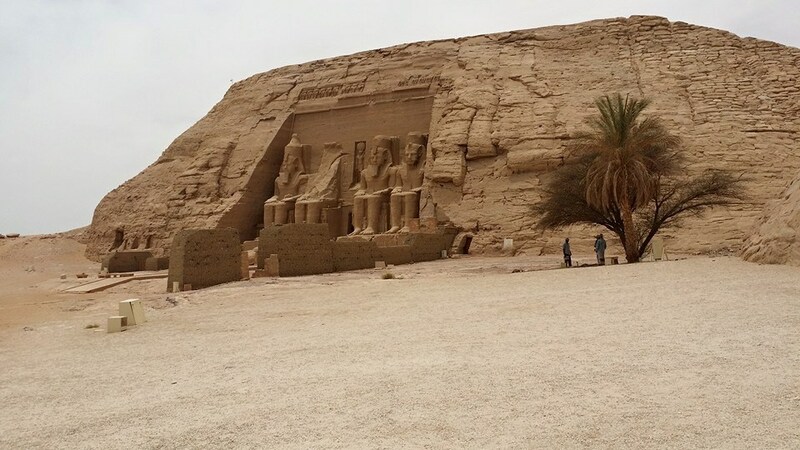 The following day provided us with yet another highlight of this trip, a one hour flight south to Abu Simbel for a visit to the Great Temple of Abu Simbel in honor of Ramesses the Great. This temple which took approximately 24 years to build was located on grounds that were flooded due to the construction of the Aswan High Dam (which we also had a chance to visit). As a UNESCO World Heritage Site of extreme importance, the temple was relocated in its entirety in 1968 on an artificial hill to avoid being submerged during the creation of Lake Nasser. 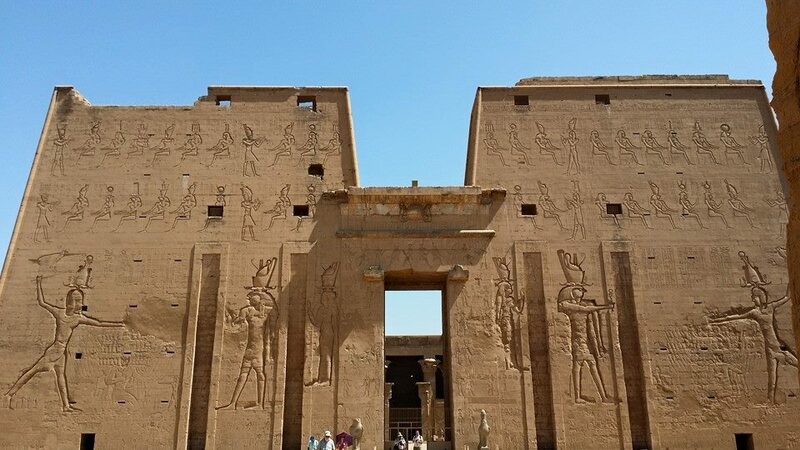 The temple was originally positioned by ancient Egyptian architects so that on the 22nd of February and October, the rays of the sun would penetrate the main sanctuary and illuminate the sculptures on the back wall. The dates coincide Ramesses coronation day and his birth date respectively however after the temple was relocated to its present location this phenomenon now occurs on the 20th of February and 22nd of October. Pictures are not allowed to be taken inside the temple for good reason. Most of the original paint on the statues and reliefs are still there to behold. Adjacent to the Great Temple is a smaller temple built in honor of Ramesses most favorite wife, Nefertari and the goddess Hathor which was also relocated and a sight to see. My group of 6 plus a larger group traveling with Trafalgar Tours were the only two tour groups to visit the temples on this day so we basically had the entire complex to ourselves. While this made it more surreal it is still a sad reminder that most travelers are manipulated by what they see on the news and decide not to visit this country for what they perceive to be threats to their safety when in reality the situation is not what the media makes it out to be. The Aswan airport is a modern structure which seemed more like a ghost town as no one was there but just our two groups (Insight Vacations and Trafalgar Tours). I felt the best thing for me to do was to purchase as much as I could from the gift shops to at least help someone out economy wise. When we returned back to Aswan we took an afternoon boat ride to a Nubian village where we were hosted by a local family and taught about their way of life. We were given the chance to pose with their pet crocodiles (which they consider to be sacred) before being given a tour of their home and community. These were the most hospitable people I’ve ever met on any tour. We capped the night off at the Old Cataract Hotel with some tea and snacks while watching the sunset over the Sahara across the Nile filled with felucca boats. We visited the Unfinished Obelisk, High Dam at Aswan and the Philae Temple the following day before returning to Cairo for our last few days in Egypt. Back at the Cairo Marriott Hotel that afternoon we had some free time to relax and take in an alfresco dinner on the grounds of this former palace hotel. After visiting so many impressive temples and monuments and the Valley of the Kings I thought I had seen it all but leave it to Insight Vacations to leave the best for last. 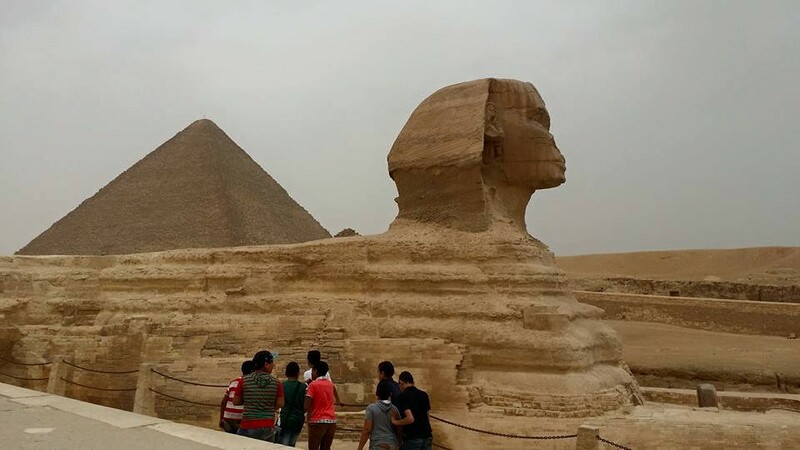 The next day was our turn to visit the Pyramids of Giza and the Sphinx. A destination just on the outskirts of Cairo (no more than a 40 minute drive from our hotel) which made this Egyptian experience one of the best if not life changing trips I’ve ever taken. We had an early wakeup call the next day for our visit to the pyramids which no one minded at all. We were given an orientation of the pyramids upon arrival and had many photo stops. While we didn’t have tickets to enter the Great Pyramid of Giza (Pyramid of Khufu) we did have the time to walk up the structure and take a photo. Insight Vacations did secure tickets for us to enter the Pyramid of Menkaure and walk down to the inner chamber. This was much better than any Indiana Jones movie I’ve ever seen. After visiting the pyramids we did the typical tourist thing (camel ride, horse ride and photos) before visiting the famous Sphinx. Later that afternoon, we visited with Bedouins at their home for tea. We returned back to the pyramid complex in the evening for the sound and light show which was extremely impressive. We visited the ancient capital of Memphis the following day as well as the step Pyramid of Sekhemkhet at Saqqara and the Citadel of Sultan Saladin al-Ayyuby and Mosque of Mohammed Ali. We drove by the Al-Rifa’i Mosque which is where the last Shah of Iran, Mohammad Reza Pahlavi is buried as well as King Farouk, the last king of Egypt. Our trip ended with a visit to the Egyptian Museum with a vast display of ancient Egyptian artifacts. As not to be out done, the museum held the mummies of Queen Hatshepsut and Ramesses the Great. To see these two, especially Ramesses of biblical fame face to face was intense and can only be done in Egypt. We said our goodbyes to 3 members of our tour group and our great tour director while 2 of my fellow travelers and I headed off to the airport for the second leg of our trip to the Hashemite Kingdom of Jordan. We had a late arrival into Jordan right as the sun was about to set. After paying the visa fee we were met by our Insight Vacations representative and tour driver. 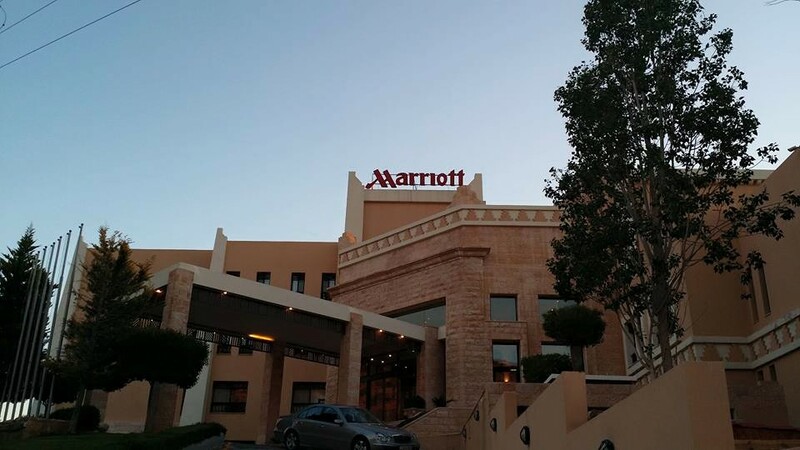 We stayed at the very luxurious Amman Marriott Hotel overlooking the city. Our group in Jordan consisted of just 5 altogether. I have to admit, small group travel is the way to go. After breakfast at the hotel the staff loaded our suitcases onto our minivan and we headed off for a tour of the center city and the Citadel which has a commanding view of the entire city. I was amazed by Amman as it reminded me of a mix of Beverly Hills, New York’s upper East Side and Bel-Aire all in one). The city’s biblical name is Philadelphia which gave me some pride as the lone American in our group. We had a chance to visit the Ancient City of Jerash and the site of the Sanctuary of Zeus built during the Bronze Age 749 AD and the Temple of Artemis. As great as this was the most impressive drive of this entire tour (living in California for over 30 years I’ve seen my fair share of beautiful drives) was the road that took us to Wadi Musa (Valley of Moses) which is where it is said that the prophet Moses passed through on the way to the Promised Land. The vista of the valley with the most beautiful of sunsets I’ve ever seen can be found here. Our stay in Petra was at the Petra Marriott which is located on top of a hill overlooking the valley below. While it’s about a 10 minute drive to the entrance of Petra this location just can’t be beat for its stunning views and romantic sunsets. The next morning was our time to visit Petra. Petra has been a UNESCO World Heritage Site since 1985, chosen by Smithsonian Magazine as one of the “28 Places to See Before You Die” and has been chosen as one of the New 7 Wonders of the World for all the obvious reasons. We spent a full day visiting this archaeological city and interacting with the Bedouins. Although we spent about half a day, it felt as if you could spend an eternity there and still not see it all, especially as they are still discovering buried chambers underneath the sands that cover this area. We were taken to St. George Greek Orthodox Church in Madaba the next day which is renowned for their mosaic tile work and had an afternoon lunch at the home of a local family. This is where I was introduced to mint lemonade and crave it to this day. 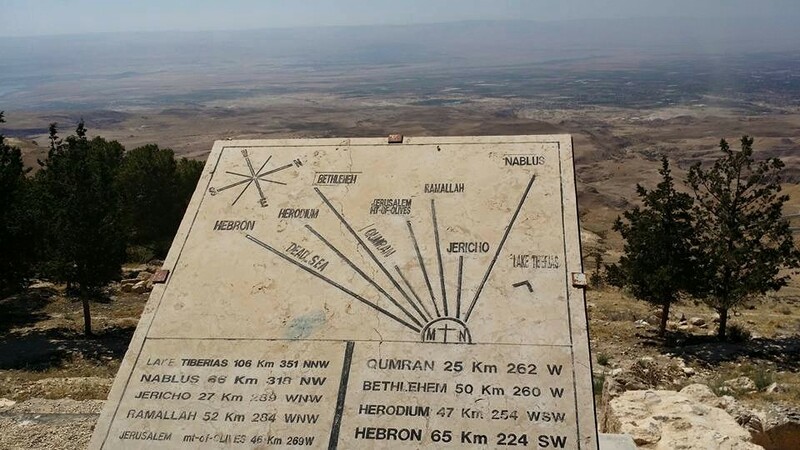 After our lunch we had what had to be one of the most memorable and powerful visits of this entire trip, a visit to Mount Nebo which is said to be the site where Moses was granted a view of the Promised Land but not allowed to cross over. It was the first time I saw Israel and the Jordan River below. All we could do is stand in silence as we viewed this landscape which means so much to so many. There weren’t that many of us there as the number of tourists has dropped considerably in the past few years due to the same bad press given to Egypt and other countries in the area so we had the place to ourselves before heading back to Amman. Our last night at the Amman Marriott was one of reflection and gratitude to the people we met along the way. I am so grateful to have had the opportunity to visit these two great lands with so much history that it’s next to impossible to take it all in just one trip. Never once did I feel my life in danger and would recommend both Egypt and Jordan in a heartbeat to anyone who is open to new experiences.